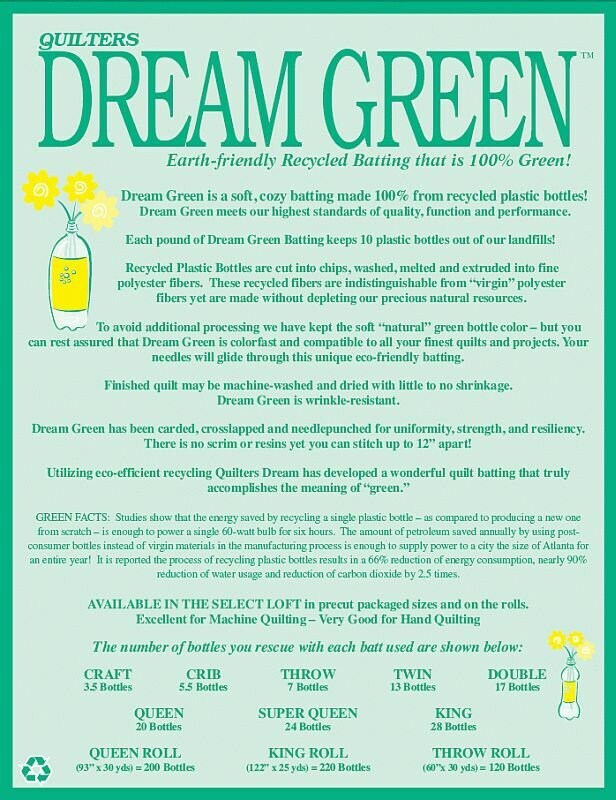 Dream Green Batting - Quilters Dream Batting - Twin Size 93"x72"
needle-punched for uniformity, strength, and resiliency. standards of quality, function and performance. Needles will glide through this unique eco-friendly batting. dried with little to no shrinkage. 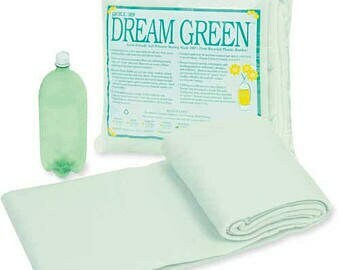 Dream Green is wrinkle-resistant. yet are made without depleting our precious natural resources. 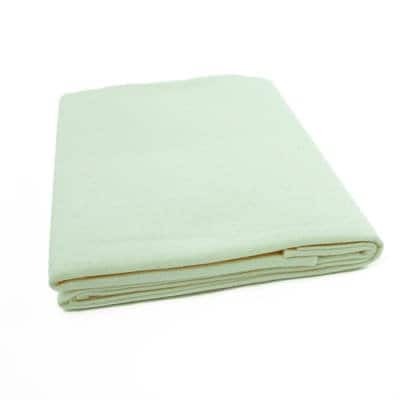 that Dream Green is colorfast and compatible to all your finest quilts and projects.